This publication gives an introduction to the 2014 Mississippi Medallion plants and is part of a series of publications that promote awareness of these plants. For gardeners—This is an easy-to-grow perennial suited for partial to full sun. The plant features 3- to 4-inch-diameter, rose-purple flowers with overlapping and downward-arching petals and brown-orange center cones. This plant is floriferous throughout the summer season. Typically 2 to 3 feet tall with good branching structure, this plant does not require staking. It is excellent for fresh-cut or dried arrangements. Coneflowers tolerate dry but well-drained soil (raised beds increase soil drainage). Adaptable to the heat and humidity of Mississippi summers, it does not require deadheading, but removal of spent flowers will enhance its appearance and encourage additional blooming through the summer season. Plants should be divided every 4 years to prevent overcrowding. Top-dress with compost in spring. There are no serious disease or pest problems. For growers—For first-year flowering, seeds must be sown no later than January 25. Sow on top of thoroughly drained germination media. Seeds do not need to be covered. Maintain a germination media temperature of 65 to 70 degrees Fahrenheit for up to 15 days. Transplant seedlings into larger containers no later than 28 days after germination. Feed with water-soluble fertilizer as needed. For gardeners—This is a great tomato specifically bred for growing in hanging baskets. Cascading branches continually produce red or yellow 1- to 2-inch, slightly oval-shaped fruits that have a sweet flavor. These plants have a trailing growth habit. They are perfect for combination baskets and containers for porches and patios. Fertilize weekly with a water-soluble fertilizer at half the rate recommended. Too much fertilization can result in excess foliage growth at the expense of fruit development. Each plant can produce up to 4 pounds of tomatoes. For growers—‘Tumbling Toms’ are grown like other tomato crops. It was selected for flavor and yield more than for ornamental value. The plant is determinate and trailing, bearing many very small fruits beginning about 65 days after transplant in Mississippi. Seeds can be sown in 72-cell or larger trays. Seedlings emerge in 5 to 8 days. Small plugs can be transplanted into 4-inch and other size containers. Seeded 72s will be ready for retail in 4 to 5 weeks in Mississippi. Like all tomatoes, these need a sound fertility program because of their rapid growth. The crop should never have wet foliage going into the night. Scout for all of the common tomato insects (aphids, thrips, whiteflies) and diseases (numerous), treating with products labeled for this edible crop as needed. ‘Tumbling Toms’ are the perfect companion plant in mixed and combination containers or baskets. For gardeners -- Rabbiteye blueberry is one of the easiest blueberry species to grow because of its broader environmental tolerances. Most blueberry species require a very narrow soil pH of 4.8 to 5.2; however, rabbiteye blueberries can tolerate up to 5.5 or even 5.7. Acid-forming fertilizers like ammonium sulfate or similar will help keep the soil pH in the proper range while feeding the plant. They are fairly disease resistant and overall have few pests, making them a great low-maintenance fruit crop. The plants grow in a bushing habit but can grow more than 10 feet tall. Annual pruning will keep the size in check and also help with consistent fruit-bearing. Consistent soil moisture is important for plant survival, so eliminate nearby weeds and mulch with pine bark or pine needles around the base. Supplemental water should be applied as needed throughout the growing season. Rabbiteye blueberries require cross-pollination, so two or three different varieties are needed for fruit set. Since different varieties ripen at different times during the growing season, select early-, medium-, and late-season ripening varieties to prolong the harvest. Fruit color ranges from dark to light blue. Rabbiteye blueberry gets its name from the color of its ripening fruit—a pinkish hue that resembles the eye of a rabbit. Fruit size, shape, and seediness can vary depending on the variety, but the taste is consistently pleasing. Rabbiteye blueberries also have great foliage color. The foliage is bright blue-green in the summer months, and then it colors up with nice reds and oranges in the fall. A list of rabbiteye blueberry varieties is available in MSU Extension Publication 1758 Establishment and Maintenance of Blueberries. As long as the plant is well maintained, rabbiteye blueberry is a long-lived fruiting bush that can provide years of enjoyment. For growers—A substrate pH of 4.8 to 5.5 is required. Propagate using softwood cuttings taken in late spring from the current season’s growth or using hardwood cuttings taken during the dormant season. The propagation medium should be well drained and aerated, but it must hold adequate moisture to keep the cuttings from drying out. A good rooting media is an equal mixture of perlite and peat moss. Use mist to apply moisture and maintain humidity. Frequent, short misting intervals are recommended for best results. Keep cuttings partially shaded, and make sure they have adequate ventilation. After rooting occurs, add a dilute complete liquid fertilizer weekly. Transplant in winter into pots or nursery beds and hold for another year. Copyright 2014 by Mississippi State University. All rights reserved. 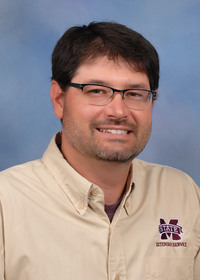 This publication may be copied and distributed without alteration for nonprofit educational purposes provided that credit is given to the Mississippi State University Extension Service. 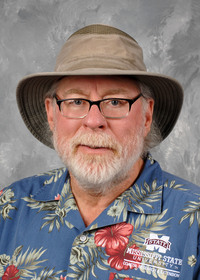 By Dr. Gary R. Bachman, Associate Extension/Research Professor, Coastal Research and Extension Center, Dr. Geoffrey C. Denny, Assistant Extension Professor, Plant and Soil Sciences, and Dr. Eric T. Stafne, Associate Extension/Research Professor, Coastal Research and Extension Center.